Receipts were 2444, including 558 packer cows, bred cows and pairs, 1886 yearlings and calves. Packer cows were steady. Packer bulls were steady. Market on replacement cows and pairs were steady with a moderate demand. Market on steers and heifers weighing 500# and under were $3 to $5 higher. Feeder steers and heifers weighing over 500# were $2 to $4 higher. We are starting to see some sell-outs due to lack of water. The market was strong on all classes of calves and yearlings. Receipts were 1722, including 348 packer cows, bred cows and pairs, 1374 yearlings and calves. Packer cows were $1 to $3 lower. Packer bulls were steady. 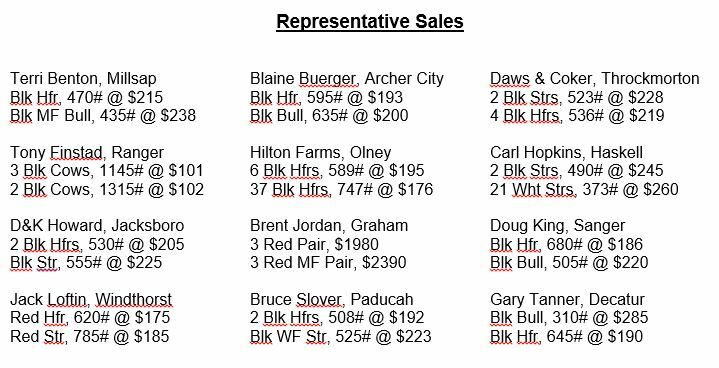 Market on replacement cows and pairs were steady to last week’s higher market. Market on steers and heifers weighing 500# and under were $2 to $4 higher. Feeder steers and heifers weighing over 500# were $2 to $3 higher. The market is still getting higher every week.